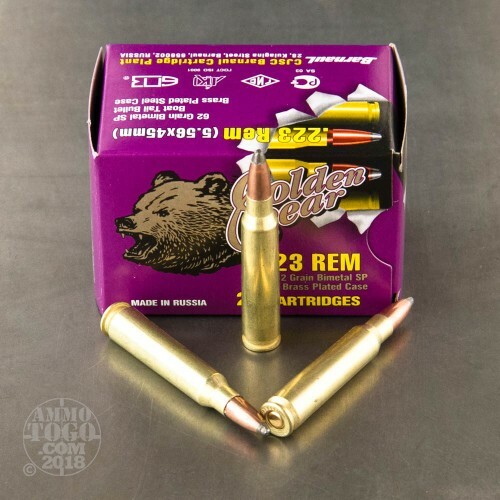 Manufactured by JSC Barnaul Machine Tool Plant in Russia, Golden Bear ammunition is a highly affordable option for the budget-conscious shooter. Barnaul is considered the premier ammunition factory in Russia, and it supplies most of the ammo used by the Russian Military. All Golden Bear rounds are loaded to the exacting standards normally reserved for mil-spec ammo, yet are available to civilian shooters at a surprisingly affordable price. 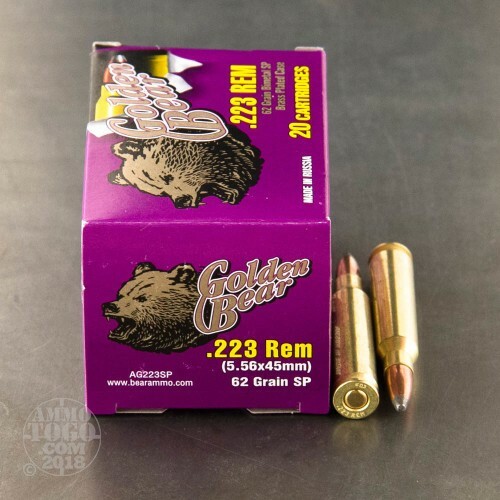 This package contains 500 rounds of Golden Bear .223 Remington ammunition. Each cartridge is loaded with a 62 grain soft point projectile. 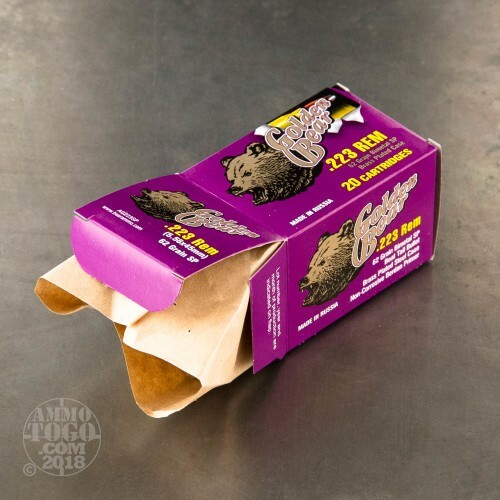 Delivering excellent terminal mushrooming, these rounds are well-suited for target shooting or hunting small to medium game and varmints. This new production ammunition is packed in 20 round boxes, with 500 rounds per case. 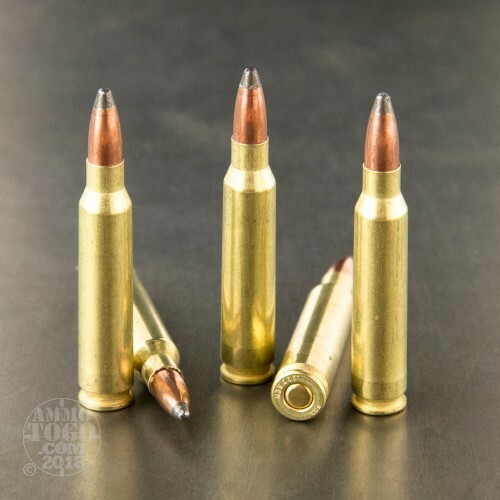 100 percent non-corrosive, these rounds are Berdan primed and feature non-reloadable brass coated steel cases. Each round produces a muzzle velocity of 3050 feet per second. Very quick delivery! I’ve fired about 25-30 rounds only. Accurate and no jams so far. 2.5 lbs. CNC single stage trigger.